Tags : All-Weather, Breathable, D3O, Designed for Women, GORE-TEX, Sport Touring, Waterproof. 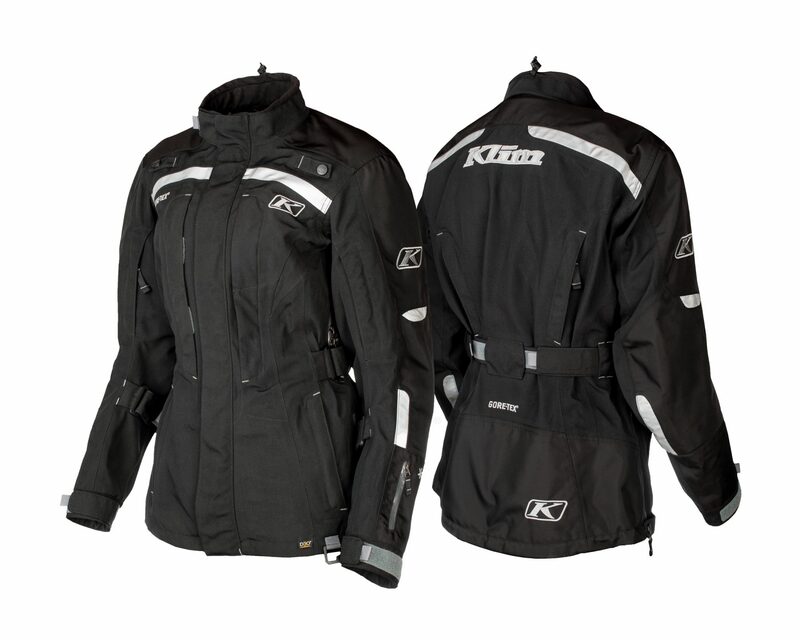 Klim brings you the Altitude Jacket. KLIM® provides the female rider with the best in material selection, craftsmanship, fit and style with the Altitude Jacket. GORE-TEX® weatherproof technology, high-tech armor coverage, intelligent reflective—it’s all here. The Altitude features a GORE-TEX® 2-Layer shell, giving you a completely waterproof and breathable jacket. It is made from abrasion resistant fabric in the low impact areas, with 840D Cordura in the high impact areas – shoulders, elbows and forearms. The jacket features D3O T5 EVO (CE Level 1) armour in the elbows and shoulders, and D3O FLO (CE Level 1) armour for the back. The jacket has 3M Scotchlite reflectors on panels and trim for increased low light reflectivity. Klim has placed these strips so that they trace out a humanoid form, increasing the chances of being recognized by other motorists. It has adjustable arm straps, and an external waist belt.